VALENTINO GOWN, $3,890, BY SPECIAL ORDER AT VALENTINO BOUTIQUES NATIONWIDE. VAGABOND BOOTS, $175, AT NORDSTROM.COM. POMELLATO EARRINGS, $30,250, AND BRACELET, $54,000, AT POMELLATO BOUTIQUES NATIONWIDE OR POMELLATO.COM. VAN CLEEF & ARPELS RING (RIGHT HAND), $20,600, AT VANCLEEFARPELS.COM. TIFFANY & CO. RING (LEFT HAND), $9,000, AT TIFFANY BOUTIQUES NATIONWIDE OR TIFFANY.COM. ABOVE: JIMMY CHOO VIOLA 110 SHOES, $1,895, AT JIMMYCHOO.COM. JIMMY CHOO VIOLA 110 SHOES, $1,895, AT JIMMYCHOO.COM. DOLCE & GABBANA DRESS, ORDERED BY SPECIAL REQUEST AT DOLCE & GABBANA STORES. VAN CLEEF & ARPELS EARRINGS, $6,950, AT VANCLEEFARPELS.COM. MAYA BRENNER BRACELETS, $1,156 TO $1,750, AT MAYABRENNER.COM. 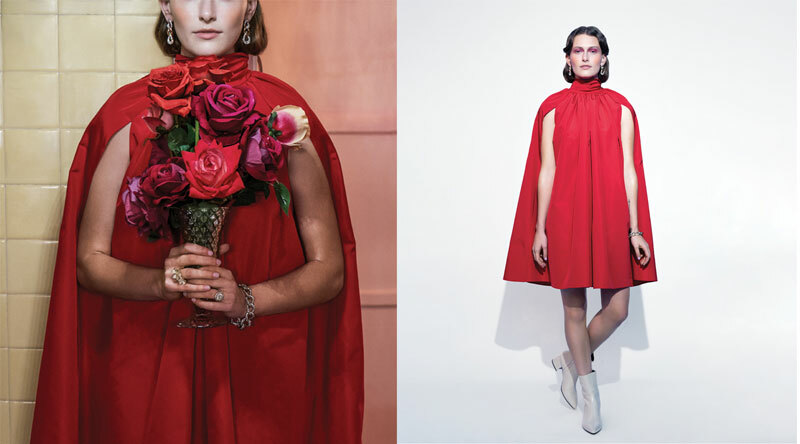 CHRISTIAN DIOR DRESS, $12,000, AND RING (RIGHT HAND), BY SPECIAL ORDER, AT DIOR BOUTIQUES NATIONWIDE OR 800-929-DIOR. ANNA SHEFFIELD EARRINGS, $6,500, AT ANNASHEFFIELD.COM. TIFFANY & CO. NECKLACE, $55,000, BRACELET, $15,000, AND RING (LEFT HAND), $80,000, AT TIFFANY & CO. BOUTIQUES NATIONWIDE OR TIFFANY.COM.